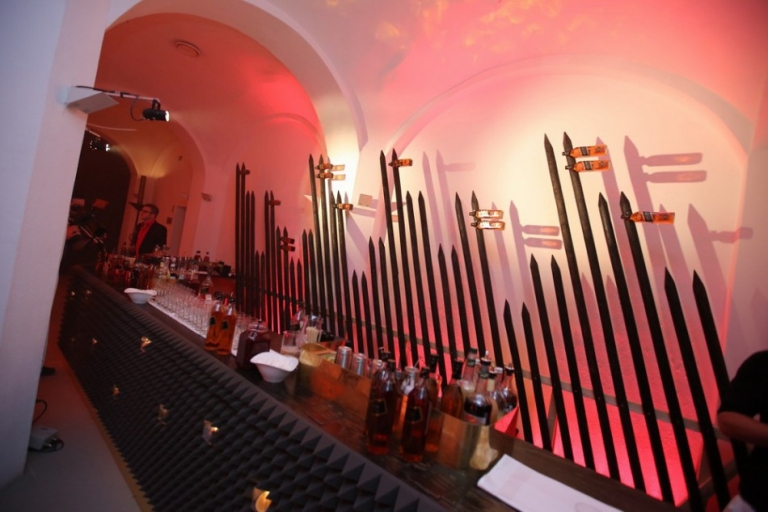 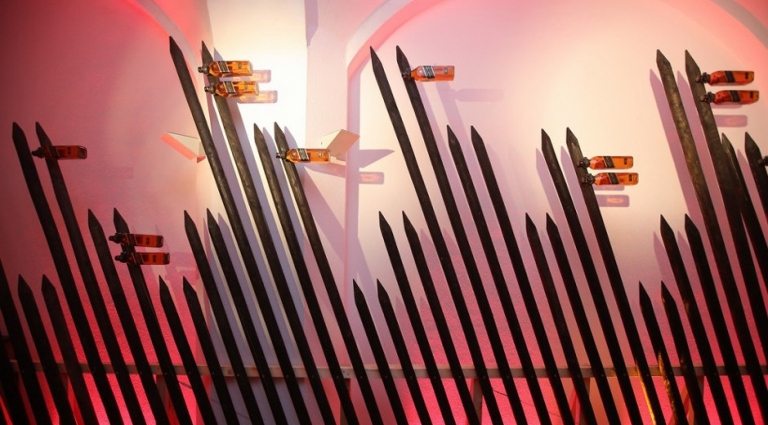 Johnnie Walker asked rocknrollarchitecture and Re-Make/Re-Model to create a bar for a pop-up event in Munich. 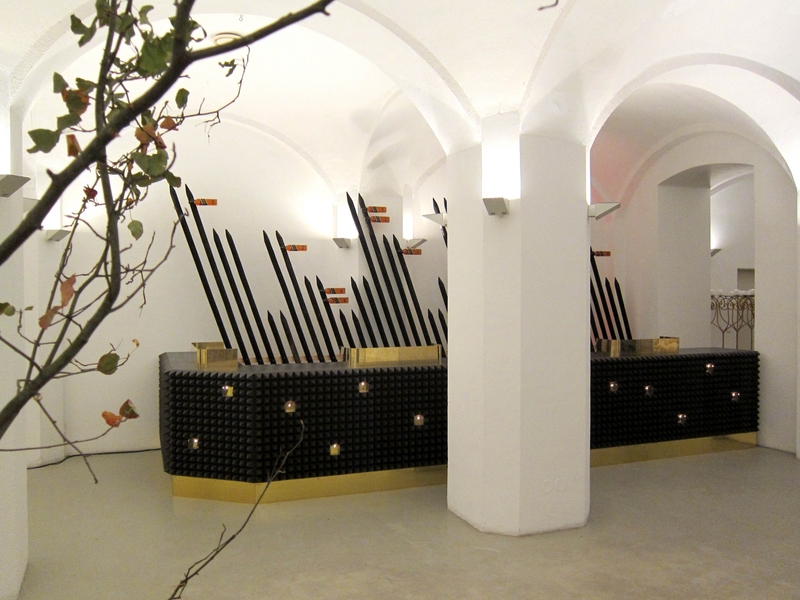 The bar was constructed in Berlin and transported down to Munich for the two-day party which took place on the Praterinsel. 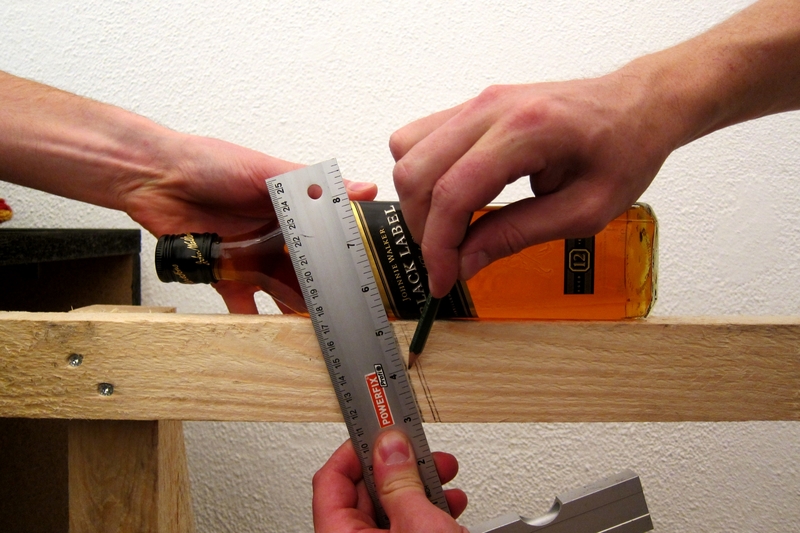 The front is covered in black pyramid foam with gold details, and the top of the bar is done in black whiskey stained plywood. 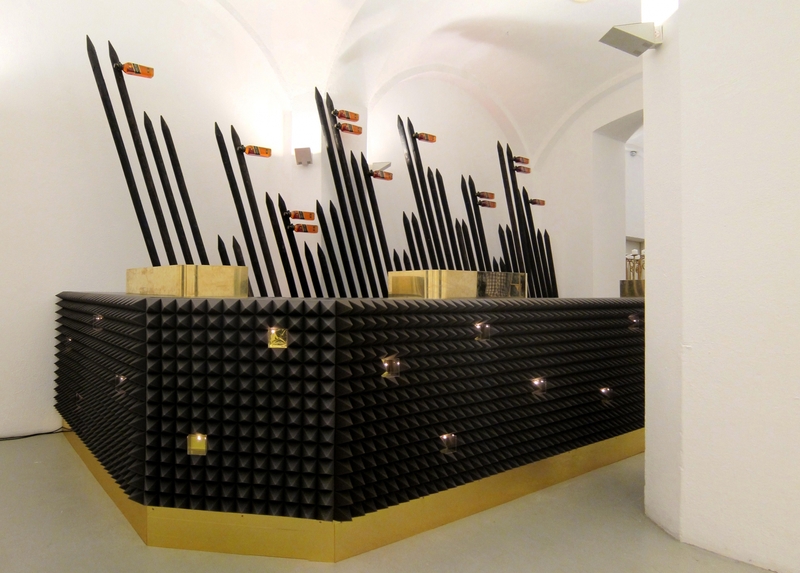 The the bartender area screens are made from brass. 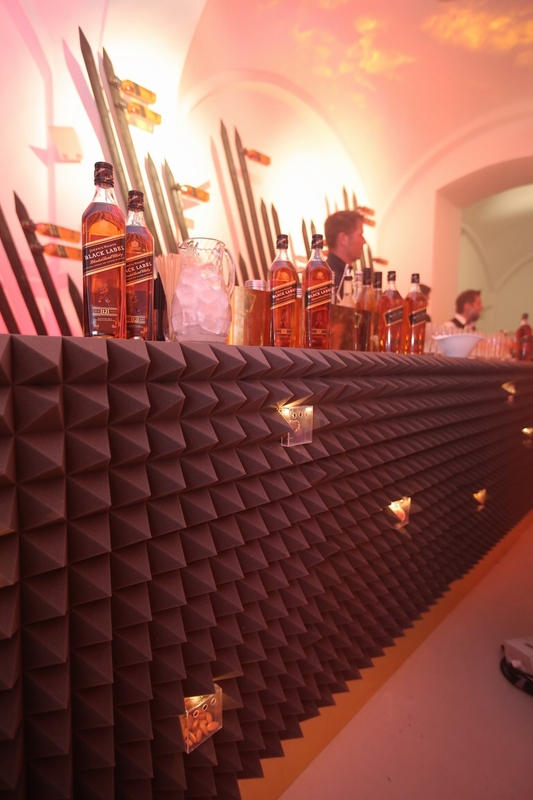 Along the front is a pattern of boxes that are lit up from the back, containing the key flavour ingredients of J. Walker whiskey. 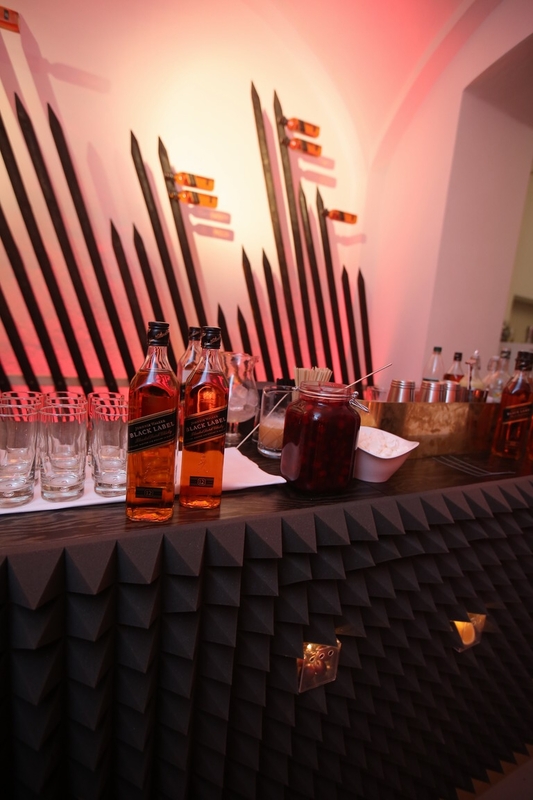 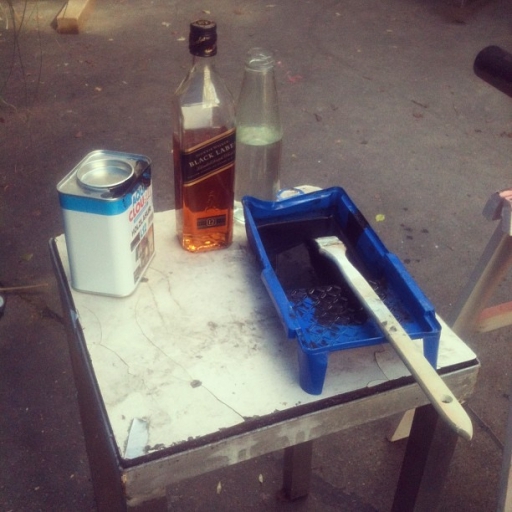 Behind the bar is a diagonal pattern made from natural wooden sticks stained black with whiskey infused stain.